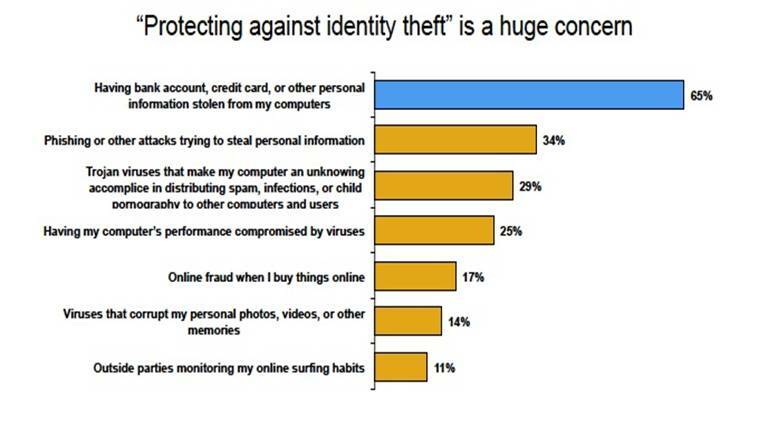 Nearly two-thirds of Americans are concerned that information about their bank accounts, credit cards and identity may be stolen from their computers, according to a survey released today by a provider of identity theft protection services. 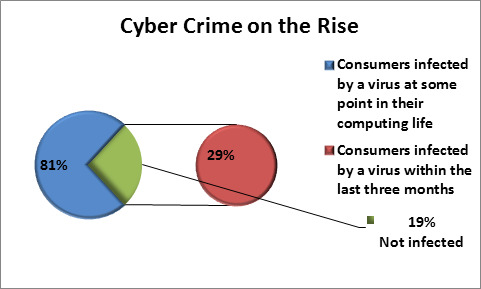 The survey sponsored by Kindsight also found that a staggering 81 percent of the people participating in the poll had been infected by a computer virus at some time in their computing lives and that 29 percent of them had been victimized in the last three months. Despite their experiences with malware, many consumers still have sloppy security practices, the surveyors found. For instance, only 59 percent of the survey's respondents had updated their antivirus software and only 53 percent had enabled a firewall on their home router or computer. "The results of our survey shed light on the public's concerns toward ID theft and online protection," Kindsight CEO Mike Gassewitz says in a statement. "In recent years, online hackers have advanced to a new class of sophisticated cyber criminals. Methodical in planning their attacks to make them more lucrative, these criminals are skilled at identifying potential security holes in a consumer's home network." "Armed with consumers' personal information, these cyber criminals can deplete bank accounts and harm credit ratings, which costs consumers significant time and effort to reverse the damage," he adds. The survey sample consisted of 1200 web users from 18 to 55 years old with at least one personal computer in their homes and a broadband connection, and who spend a few hours a month browsing the Internet from their domicile.